Before pictures are usually followed by after pictures. That’s not really going to happen in this case. 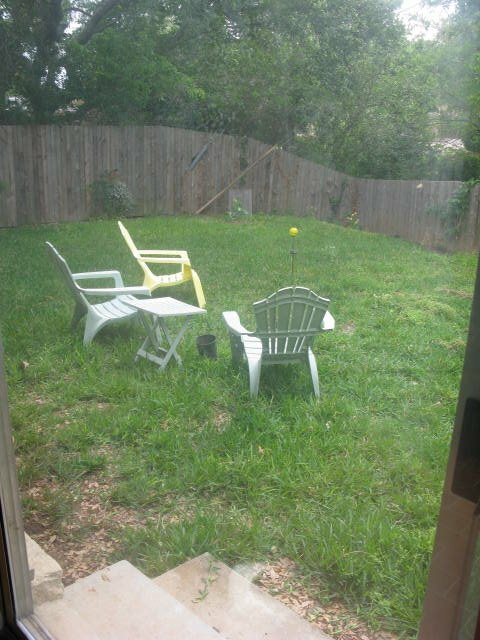 I took a few pictures of the backyard so my progression will have some place to start from. 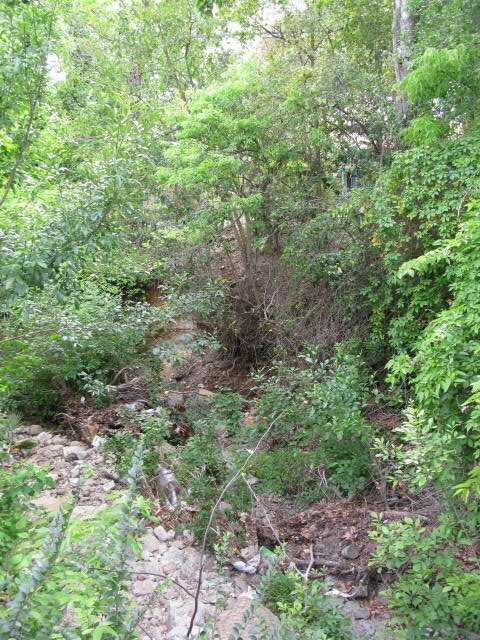 Currently the my backyard is a small plot w/ a creek flowing diagonally through the middle. 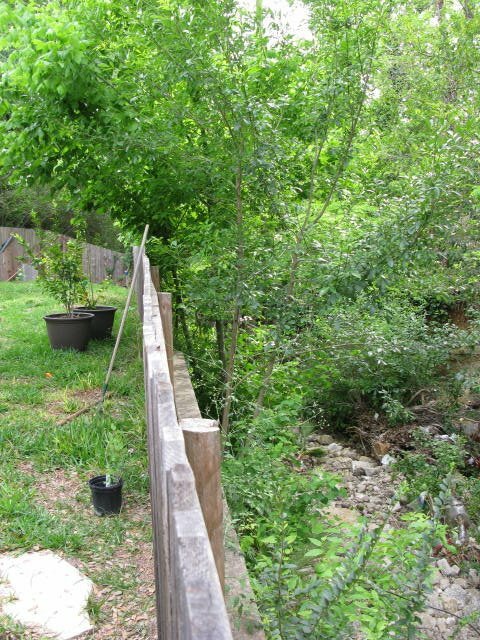 Due to all of the trees in and along the creek bed, the yard is very shaded. This will create a challenge when planting, but makes it a wonderful place to relax. 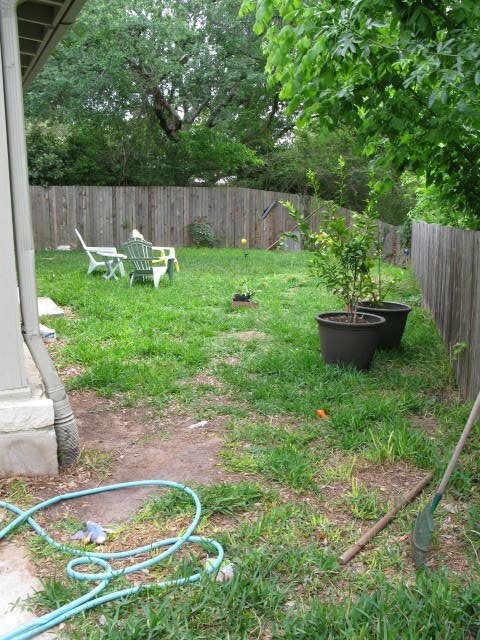 I have planted a few trees (kumquat, lemon, lime, fig, banana) and planted a few passion flower vines, but other than that it is a blank slate. Very nice tour of the gdrean! So you are having hot weather there? Our spring is unusually mild do far. It actually snowed today! I am so glad that I didn't put my tender little plants in the dirt yet. They'd be frozen! Traditionally, planting is no sooner than Mother's Day weekend where we are at…I think I may wait until June this year.